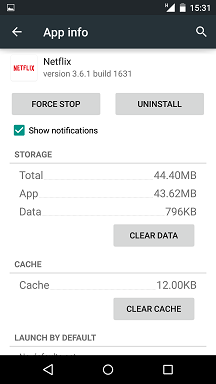 You might have some problems with an Android app once in a while, but rather than reinstalling the app you can try clearing the App Cache & Data instead. This will usually solve most of the minor issues and also helps free up storage space on your device, but please take note that it will also clear any login details or custom data that you had saved in the app. 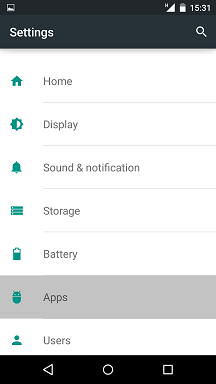 1) Open your Settings menu and tap on App. 2) Full list of the downloaded app should appear. 3) Tap on the app that you wish to reset. In this example, I've selected Netflix. 4) Now tap on Clear Cache and then Clear Data. 5) 3) Click on OK to confirm clearing the App Data for the app. 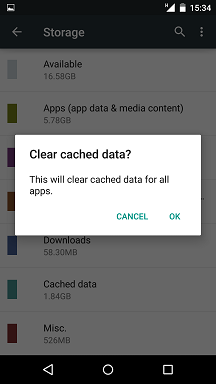 *Note: On Android device 4.2 and above, you should be able to clear the cache for all Apps at one go following the steps below. However, this is not recommended unless you are out of storage and really wish to clear the cache for all the downloaded apps. 1) Open your Settings menu and tap on Storage. 2) Scroll down and tap on Cached Data. 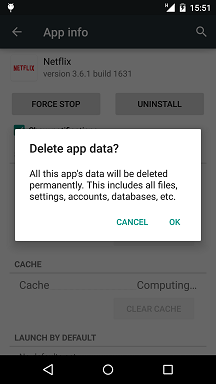 3) Click on OK to confirm clearing the cached data for all apps.